Her voice was muddled by dreamsleep, but I heard the words nonetheless: “This is where the love is…”. She had that look of peace about her. The one that melts me every time. The one that helps me feel less like a mother who can never get it right and more like a hand of love: helping her, guiding her. Her face lit softly by the nightlight, she looked years younger than ten. She would lose this babyface soon and while- as a mother- I was far from ready, as a woman I smiled within at what the tween and teenage years would bring. It’s a bit unusual, her situation. Her father and I are divorcing and she has two other men in her life. It’s not something I give much thought to, but it is different I suppose. She will never have a stepmother, though it is very likely she will have two stepfathers. My bond with my daughter is as unshakable as any other mother-daughter relationship, but it’s possible she needs me even more because of where the chips have fallen. I could be wrong. In any case, I feel the importance of my influence in every exchange we have. And her slumber-filled words meant more because the day had been hard. It was like that sometimes and more so with her than with my son. She had spent a weekend with her father. Her emotions loomed around her and came at me with defiant words. Tons of attitude. She was annoyed and yet wanted me close, only to push me away again moments later. Leaving him, for her, is hard. So much of her daily experience is something with which I have been familiar. I can relate. But this…this I know nothing of. My parents are still together. I never had to ‘visit’ my dad. He was always there, right beside my mother. I don’t know what she is feeling. I can only guess and she can only express so much without worrying about how she’ll make me feel or what I’ll think. And as much as I’d like to fix it, this is where we are. This is a heartbreaking consequence of divorce. Seeing her like that triggers such discomfort for me. I get annoyed, hurt, feel guilt and want to blame. My commitment to inner peace is for my own sanity, but on nights like this I recall the human weave we live in. When I heal, I do not heal alone. The love I cultivate within is spread, without effort, to all whom I encounter. When I seethe in anger, when I throw out the blame- I deny that love. I tell it “Hold on! I’m pissed right now. So much of this is unfair and I need to vent!” It’s OK. I know it is. Love waits. I will, eventually, turn my back on suffering and embrace the Light. And this girl, sleeping soundly, is watching me. I am her model of what a woman is. She sees everything, calls me out on every little mistake, chastises every potty-mouthed word that slips, mistakenly, from my mouth. I mess up all the time. She is my mirror. Every day she shows me where the love is. I can take all the hard stuff with her and keep bumping heads, or I can pause. I can turn to Spirit and ask to see what she’s trying to show me. I don’t have to see guilt. I don’t have to see fear. I can see Love. Every time. I’m not a father, so for me to wax poetic about what that should look like is not something I feel the need to do. But I am a mother. I am *her* mother. I’m an expert in that. And in that, my guide is Love. My guide, when I ask for it, is an honest look within about what needs to be done (often nothing, other than being there for her), needs to be said (again, often very little). This is where all the good advice comes from. It is where the Love is. 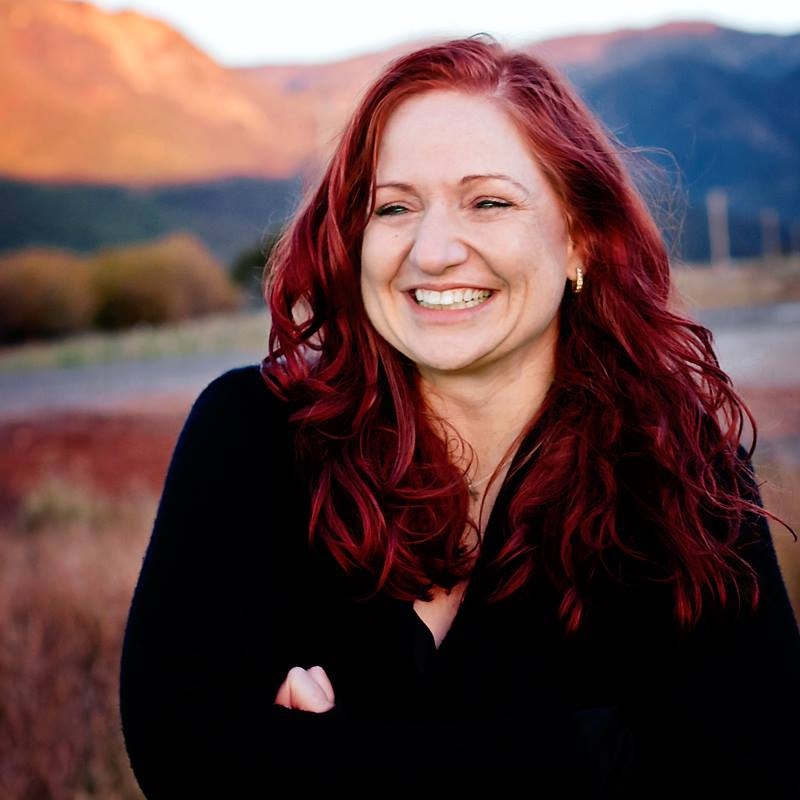 Danielle Scruton is a mother, storyteller and author of the novel, “Without Fear of Falling”. She is also co-founder of the site MiracleShare.org, the social network for students and teachers of A Course in Miracles. Yoga & Poetry, Opening to Flow. 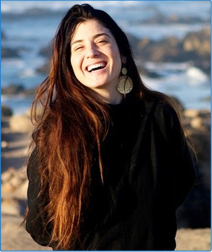 The Incredible Poet & Yogini Leza Lowitz Guest Posts. Dear Life: I Am In Love. But It’s a Mess.